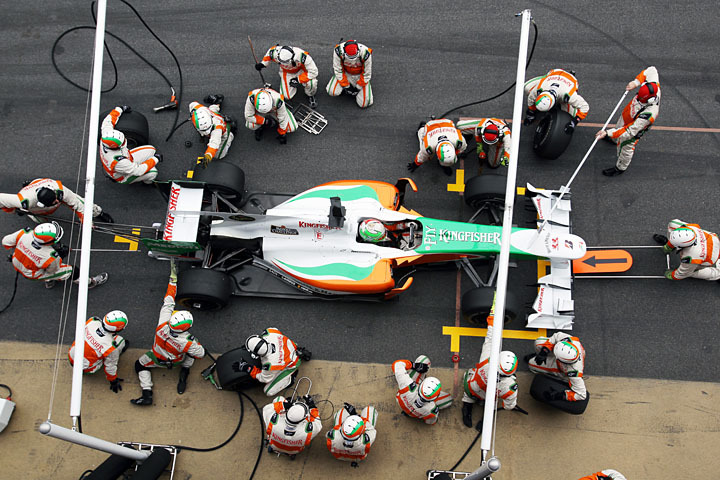 Vitantonio Liuzzi (ITA), Force India VJM03, makes a practice pit stop. Formula One Testing, Day One, Barcelona, Spain, Thursday 25 February 2010. IFD0 ImageDescription Vitantonio Liuzzi (ITA), Force India VJM03, makes a practice pit stop. Formula One Testing, Day One, Barcelona, Spain, Thursday 25 February 2010.